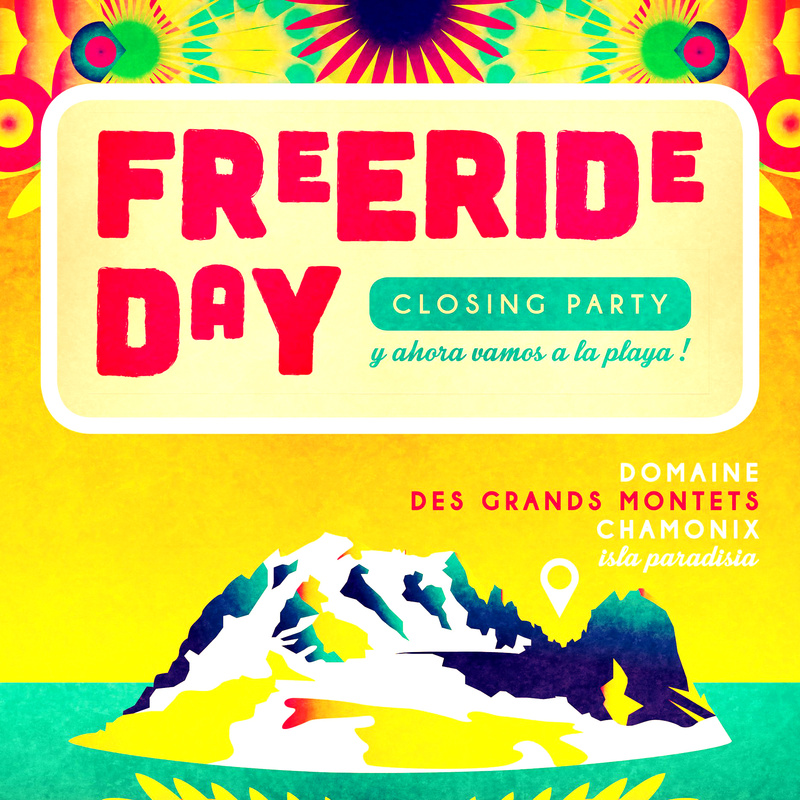 This weekend sees the last of the Chamonix ski areas close as Les Grands Montets holds it’s famous end of season party on Sunday. 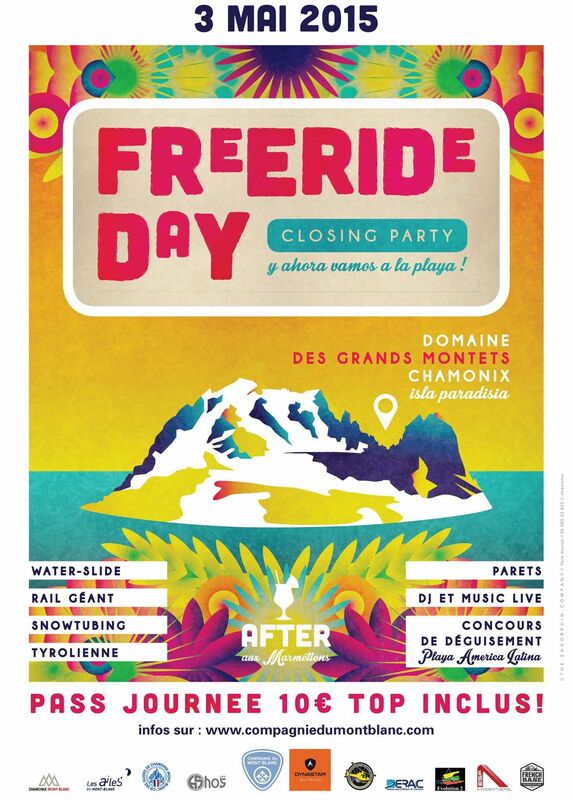 Expect all the usual madness – fancy dress, DJs, rail contests, water slide competition, BBQ… and then even more partying down in Argentiere and Chamonix town afterwards. It’s been a funny old winter with very early snow getting us all excited way back in November and then… nothing. Not a sausage until the weekend after Christmas and then it dumped down in such epic proportions that roads were closed, holidaymakers camped out in village halls and the British press had a field day reporting on “chaos in the Alpes”. Despite all that, we’ve had a great season with enough snow to keep the pistes well covered right up until April and plenty of bluebird days to counteract the lack of epic powder days (of which there were a few, just not as many as we would have liked). Now though, we must bid the winter a fond au revoir and look to what lies ahead. While summer is not yet in full swing, there is still plenty of fun to be had. Canyoning and rafting are now open and as neither of these activities are weather dependent, it doesn’t matter if it is raining or sunny! 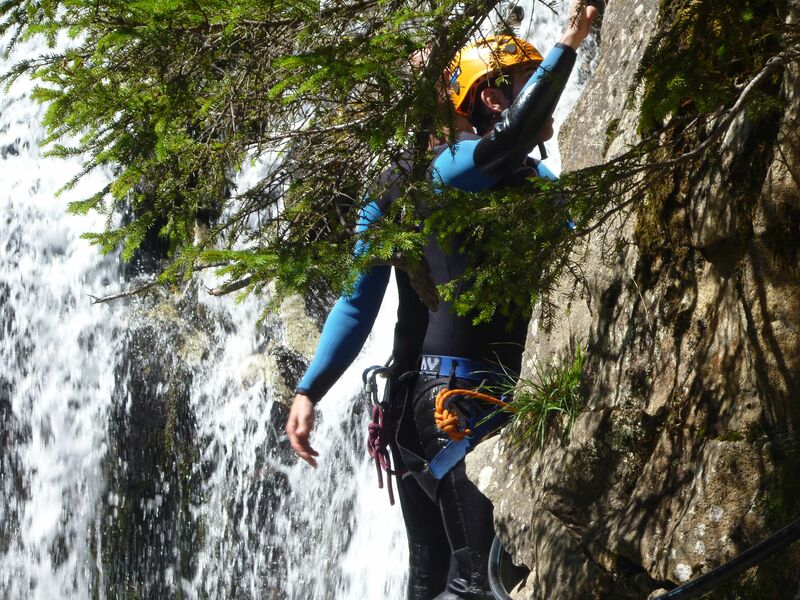 For those who are wondering, canyoning is seriously good fun; it involves wading through streams, sliding down waterfalls, jumping off rocks and splashing through plunge pools. A real adventure that can be done by anyone over 8 years old. You’ll be met by a guide and kitted out with wet suit and helmet before venturing off into the streams and rivers of Barberine. The action can be as intense as you want it to be with options to suit everyone from little bum-slides down smooth rocks to adrenaline pumping leaps off 12 metre rock ledges! 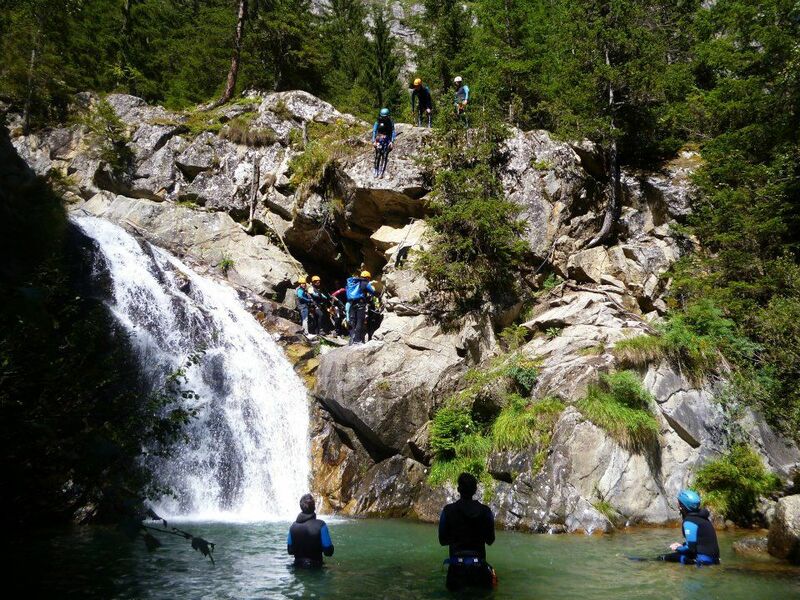 Contact us now to book canyoning in Chamonix for as little as 69€ per person. 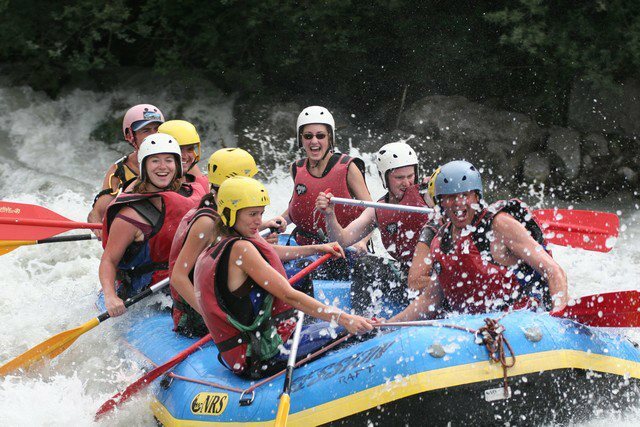 Rafting might not spring to mind as a typical Chamonix activity but we actually have a few different options here for riding the rapids. The raft base in Chamonix is already open for business, with local rivers rated as level 2-3 (perfect for beginners and families), and it won’t be long before we can take people through to Italy to experience the wilder rapids of the Dorea Balta, rated 3-5. Rafting trips start from just 35€ per person (25€ per child) and are guided by qualified and experienced instructors. Contact us now to book white water rafting in Chamonix. Conditions are ideal right now for aquatic adventures, as the melt water from the mountains swells the rivers and gushes into waterfalls. If you like your adventures to be on dry land then the rock climbing and mountain biking seasons have both started already, or you can take to the skies with a parapente flight from the Aiguille du Midi. And that’s Chamonix for you, it’s never the end of a season here, just the start of a new one! This weekend sees Chamonix turned into a little outpost of Corsica with street stalls, music, dancing, food and drink from the land of Napoleon. Most of the events are free and outdoors, so go and check it out. 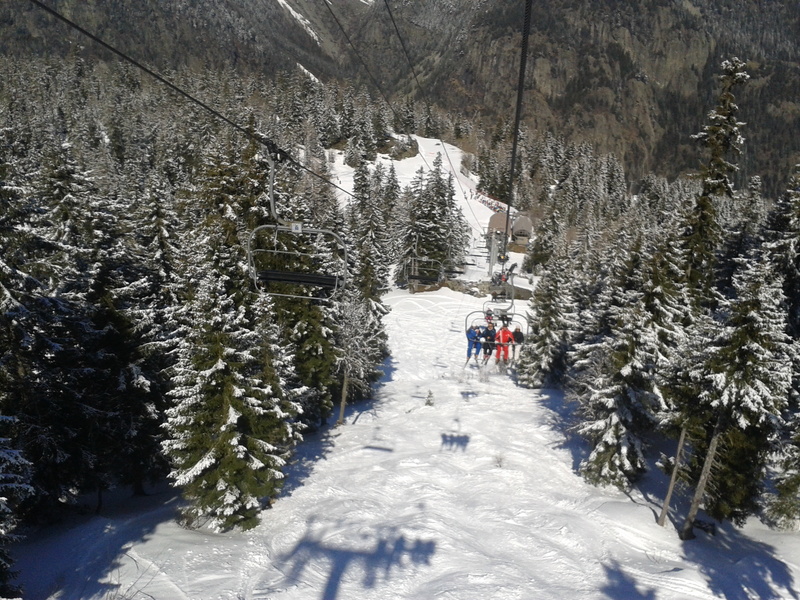 Although the majority of the lift system closes this weekend (19th), the Flegere cable car will stay open for an hour each morning from 8-9am until 24th April for those who want to hike back down again. 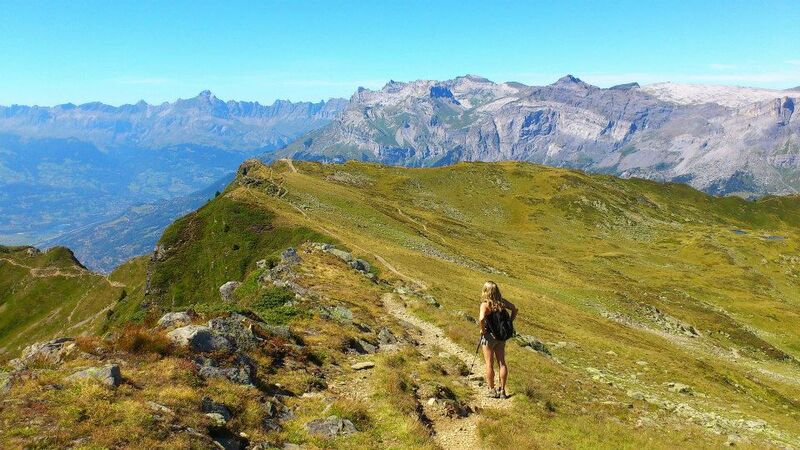 There are some fantastic trails leading back down to various places such as Paradis des Praz, Argentiere and the Col des Montets. There may still be snow up top, so take sturdy hiking boots and poles. Next weekend (25/26 April) is a chance to try out a whole load of ski and snowboard gear for free up at Les Grands Montets. There’ll be stalls by loads of local independent manufacturers and artisans – ever tried handcarved wooden skis before? If you’ve ever wanted to give monoskiing or telemarking a whirl then there’ll be plenty of that to try as well – onesie optional. Dust off those clubs and get practicing your swing. The driving ranges are already in use, with the full 18 hole course scheduled to open on 24th April. With exceptional views, challenging greens, a pro-shop and excellent club house, Chamonix Club de Golf is renowned for being one of the best in the Alps. Some of our most beautiful chalets are within putting distance of the course and are also on the main bus route to Les Grands Montets, so you can ski in the morning and play a round of golf in the afternoon – only in Chamonix! 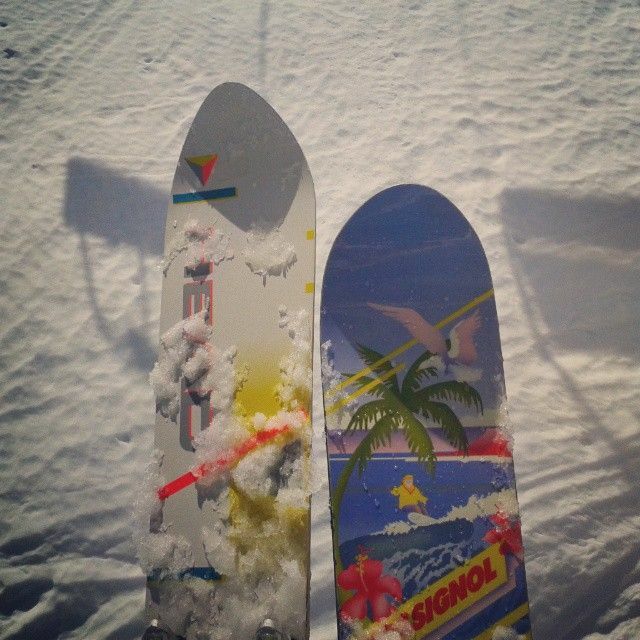 Celebrate the last blast of winter with one final shindig up the mountain. 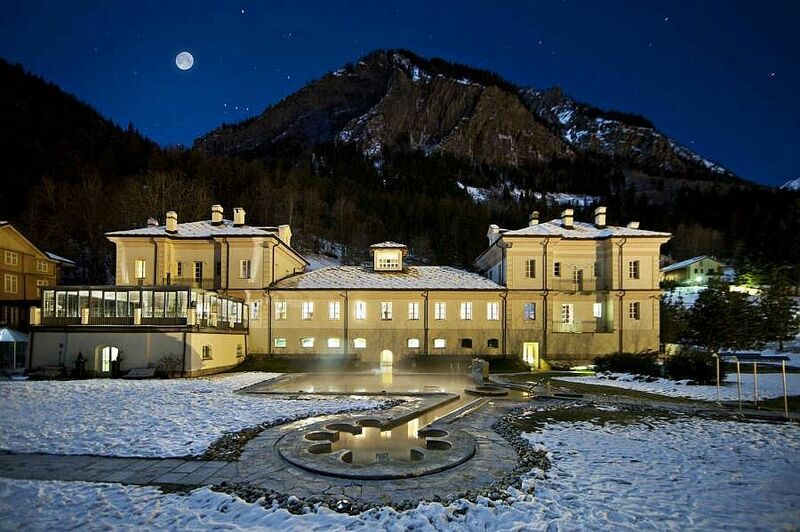 Les Grands Montets hosts this legendary party every year, where anything goes! DJs, fancy dress ski races, waterslide, giant rail contest, snowtubing, live music, BBQ, beers and more – well worth checking out whether you’re on skis, snowboard or just on foot. Expect the partying to carry on into the night down in town with after-parties in many of Chamonix’s bars. Lift passes are all discounted by a minimum of 20% from now until the end of the season so take advantage of cheap flights and accommodation to squeeze in one last ski holiday before the end of the season. 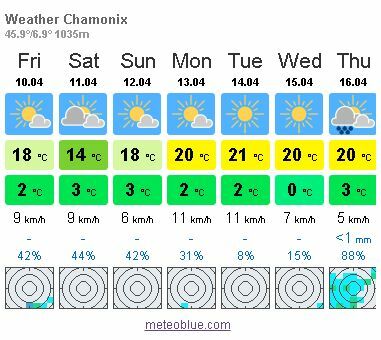 And, of course, the end of winter is just the beginning of summer fun here in Chamonix! Viva Italia – Special Offers on Chamonix Lift Passes & Day Trips to Italy! This last week has seen glorious weather return to Chamonix after a nice little top-up of fresh snow last weekend – clear blue skies, warm sunshine and soft spring snow. So, it was with some trepidation that we ventured through the Mont Blanc Tunnel to Courmayeur this week – would it be as good? Thankfully it was a fantastic day with the same great weather conditions, lovely snow and a typically amazing Italian gourmet lunch break! 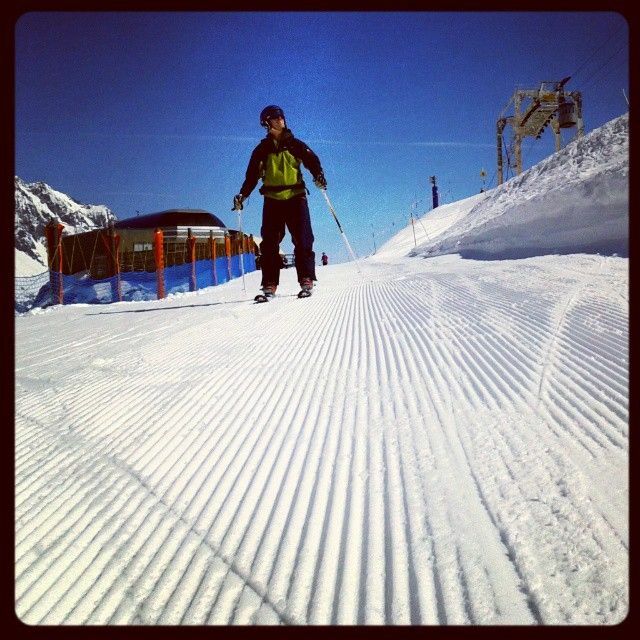 On arriving at the top of the cable car we were a bit worried to see large patches of grass and mud surrounding the lower pistes but once we got up higher the snow cover was great and the pistes were groomed to perfection – we were still finding stretches of untouched corduroy at 4pm! The snow on many faces stayed cold and fresh all day, with not a patch of ice or rock to be seen. Access to Courmayeur is included in the Mont Blanc Unlimited lift pass, which from Saturday 11th April is on special offer! We topped it off with a trip to the Pre Saint Didier Spa and spent a few hours soaking in the outdoor jacuzzis and pummeling tired muscles in the jet sprays. It’s a great apres-ski option as the entry price is reduced after 5pm, giving you 4 hours of bliss for less than the price of a half hour massage. If this sounds like your kind of apres-ski then we can provide transport there and back in a comfortable 8 seater minibus, just contact us for details. This weekend is a great time to visit Courmayeur as tomorrow night the town will be hosting the official award ceremony of the 2015 Piolets d’Or. From 9pm alpine enthusiasts, explorers and mountaineers will gather at the Palanoir Cinema to celebrate the greatest expeditions of the year with the legendary climber Sir Chris Bonington being the guest of honour and recipient of the Piolets d’Or Lifetime Achievement Award. The event is free entry and open to all, with the awards being followed by live music. This time of year is perfect for a late season ski break – quiet pistes, great weather, plenty going on in town and, best of all, discounted ski passes. The Mont Blanc Unlimited pass is now on offer with an average of 20% off all passes of more than one day with the additional bonus of 3 days for the price of 2, saving you a lovely 46% or 79.20€ – anyone fancy a last minute weekend away? You never know, we might even be able to swing you a deal on accommodation, so get in touch now and find out how much you can save! The upcoming weather forecast looks great, with the start of the week hitting the low twenties and plenty of sunshine, so don’t forget to pack your sun cream! 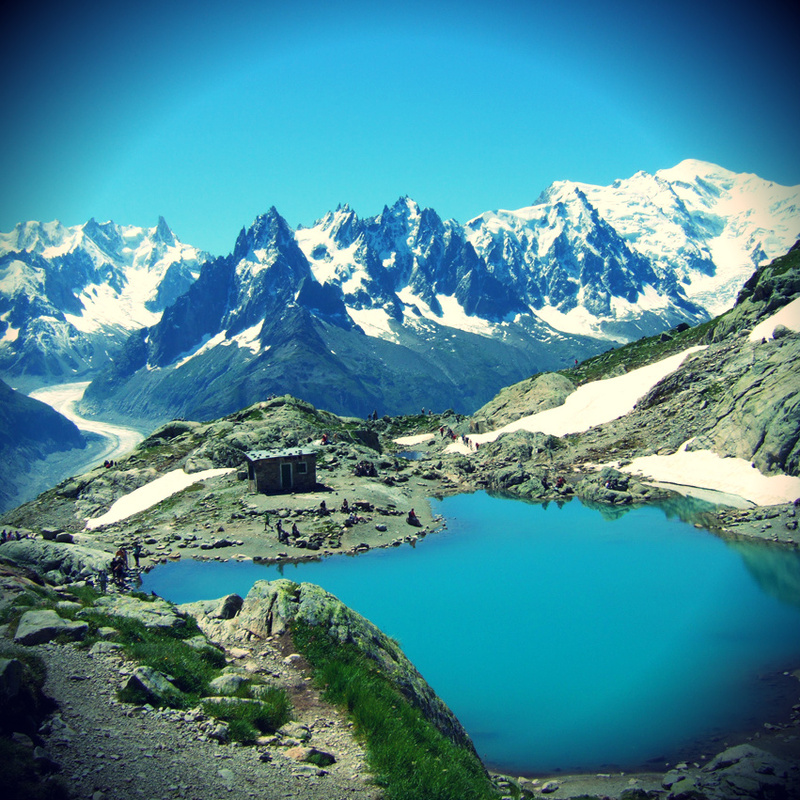 8 Fantastic Reasons to Visit Chamonix this Summer! This is a beautiful time of year in the valley and although we’re always sad to say goodbye to winter, the lighter evenings and spring flowers make us very excited about summer. The summer lift pass prices and timetables have now been released for 2015 and can be found on our website, so there’s no better time to start planning your holiday in Chamonix! Most lifts open around from around mid-June to mid-September, you can find details of all the different lifts in the valley on our Chamonix summer lifts page and ideas on all the great things you can do here on our Chamonix summer activities page. 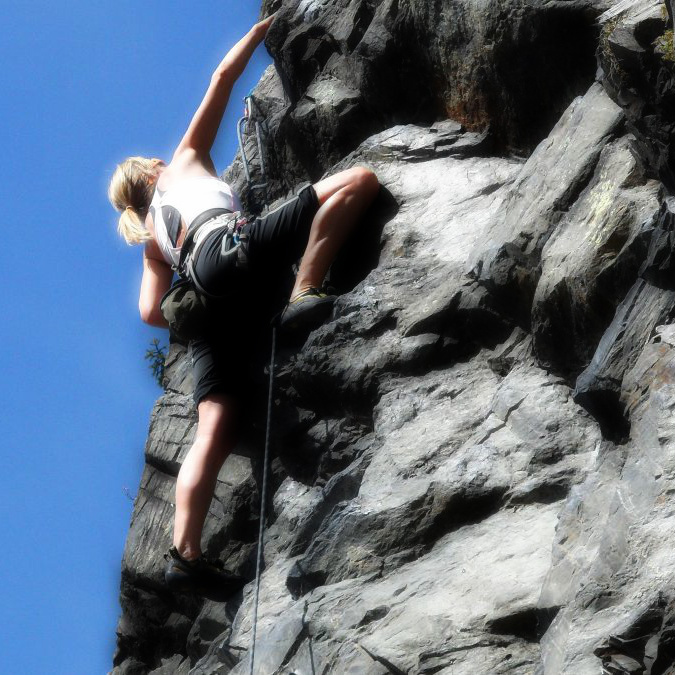 There is so much to do in Chamonix from gentle Alpine hikes to high altitude mountaineering, including climbing the highest mountain in the Alps – Mont Blanc! 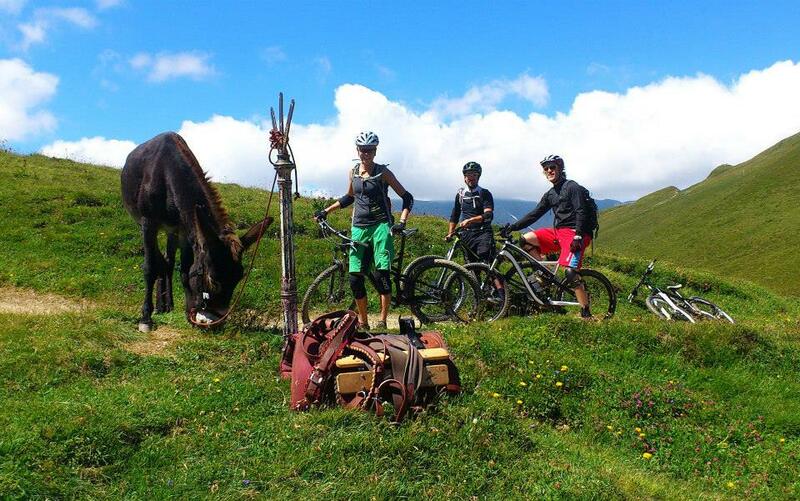 None of these activities require any experience, just enthusiasm and a reasonable level of fitness, our mountain guides will take care of the rest and ensure that you have an unforgettable experience. Chamonix might be a mecca for thrill seekers but it is also a great destination for families; children will love exploring the forests, meeting the donkeys, taking the Montenvers train up to the glacier, splashing in the rivers and generally having the time of their lives. Three days of races of various lengths from a vertical kilometre to an 80km ultra. A great experience whether you’re taking part or cheering on from the sidelines. The best climbers on the planet gather in Chamonix to pit their spidey-skills against each other on two massive walls in the centre of Chamonix, one wall for speed and the other for difficulty. Incredible to watch and a great atmosphere. The closing night of the World Climbing Championships coincides with the dawn of France’s national day, so you can expect there to be a few parties going on! Free concerts, fireworks, beer tents, food stalls and plenty of joie de vivre. 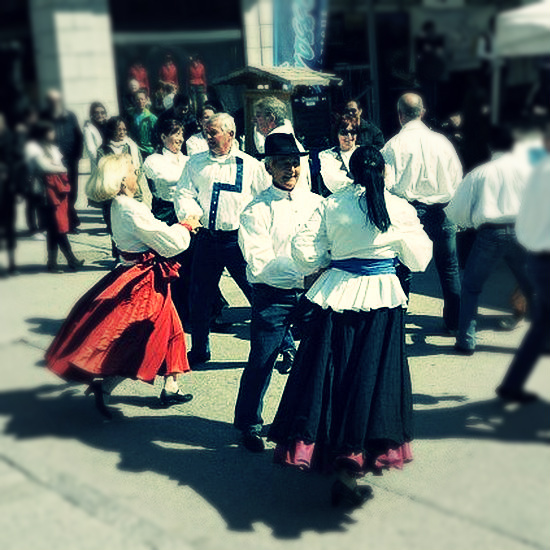 Merely one week later is another chance to party the night away at the annual Fete de la Musique, a celebration of all types of music that takes place in the squares, streets, bars and restaurants of Chamonix – expect to still be dancing when the sun comes up. Chamonix really does love its music! And the Cosmojazz Festival brings it to the most unlikely of places – you’ll find live concerts happening on mountain tops, in cable cars, beside lakes and in all sorts of locations all over the valley. The majority are free to enter and feature world-class musicians doing what they do best. Expect this year’s mountain guides festival to be even more special than usual, given the Golden Age of Alpinism celebrations. Traditional ceremonies at the Maison des Guides will be followed by a big outdoor party with food stalls, live music and fireworks at the Lac des Gaillands – as always there will be a special performance on the rock face by the mountain guides! One of the world’s most famous trail running races, the Ultra Trail du Mont Blanc covers 170km, climbs 10,000m and passes through 3 countries as it circles the base of Mont Blanc. Oh, and the winner will probably whip round it in about 20 hours. A spectacular event to watch and an electric atmosphere as thousands of runners attempt the race of their lives. Give a warm welcome to the very first edition of the Chamonix Ironman! Not an official affiliate of the Ironman race series but two triathlons covering Iron and half-Iron distances around the lakes and mountains of the Haute Savoie – they have set themselves the goal of being both the toughest and the most eco-friendly triathlons in the world. 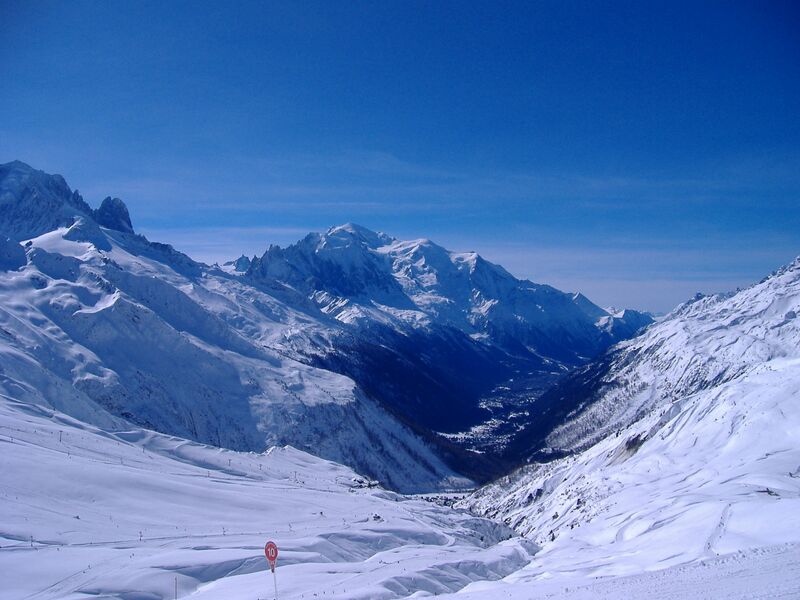 As you can see, no matter when you come there is plenty to see and do, so enter the dates when you want to visit into our Chamonix Accommodation search page and see what we can offer you! In the meantime, Happy Easter from Chamonix! Not only do we get to eat our body weight in chocolate this weekend but it looks like good times are ahead with more snow on the way tomorrow and then clear skies on Easter Sunday and Monday.